The VCFA MFA in Film residency week is always an inspiring time for our students, and this past October was no exception. We were lucky enough to have the brilliant and affable Alan Berliner join us as a special guest. As is the usual format with our special guests, Alan gave a lecture in addition to a screening of his film with a q&a period following. …Stacked on metal shelves that line two walls of the studio are hundreds of color-coded film cans and boxes. Red denotes black-and-white 16-millimeter footage; orange, sound; yellow, 16-millimeter color; blue, his family’s home movies; green, others’ home movies; violet, found photographs from around the world; gray, slides and transparencies. “It’s spectral, you see,” Mr. Berliner said. Elsewhere along the shelves are subsections of emotional ephemera: discarded photo albums, love letters, suicide notes and journals, some found in flea markets, others in the trash. Cabinets are filled with wooden objects, pieces of carpet, flipbooks, toys, kaleidoscopes, zoetrope strips. Things for cutting. Things for pasting. Things for labeling. Things for measuring. A file cabinet is marked with the names of birds. Open a drawer, and the corresponding call rings out. For me, watching my films along with the audience has always been a necessity — an intrinsic part of my understanding of what it means to be a filmmaker. For as long as I can remember, I’ve always seized the opportunity to be a fly on the wall inside the real-life laboratory for which my film was intended: a group of perfect strangers intimately gathered in a dark room to watch something I’ve just spent years of my life putting together. …I’ve always believed that finishing a film is just “the beginning” of the end of my filmmaking process. I say “the beginning of the end,” because this new (and exciting) phase in the life of the film initiates a critically important part of my creative process — the chance to observe audience response as a way of gleaning insights both about my film and about filmmaking; things I’ll take with me when it’s time to make the next one. 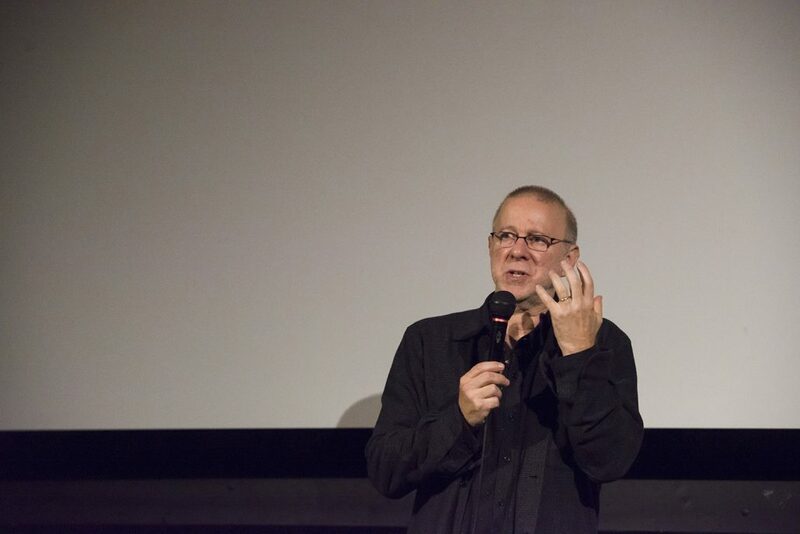 “The other thing about the film,” Berliner explains, “is that you start out doing one thing, and then because it’s just part of life and it’s just the way the mind works, you end up going to some other place and doing something else, or realizing something else, or getting insights that take you to other places. I made a film about the memory loss of a man who had a lot that he both needed and wanted to forget. At the end I say, ‘You are in a film, and millions of people are watching and you can say anything you want.’ And what does he say? ‘Remember how to forget.’ And in context, what he’s saying is what is true in life: If we couldn’t forget, we would all go insane. So forgetting is a very, very powerful force in both sanity, and in keeping the world in perspective. Visit Alan at his website to learn more! Alan Berliner’s uncanny ability to combine experimental cinema, artistic purpose, and popular appeal in compelling film essays has made him one of America’s most acclaimed independent filmmakers. Berliner’s films, FIRST COUSIN ONCE REMOVED (2013), WIDE AWAKE (2006), THE SWEETEST SOUND (2001), NOBODY’S BUSINESS (1996), INTIMATE STRANGER (1991), and THE FAMILY ALBUM (1986), have been broadcast all over the world, and received awards, prizes, and retrospectives at many major international film festivals. Over the years, his films have become part of the core curriculum for documentary filmmaking and film history classes at universities worldwide. All of his films are in the permanent collection of the Museum of Modern Art. In 2006, the International Documentary Association honored Berliner with an International Trailblazer Award “for creativity, innovation, originality, and breakthrough in the field of documentary cinema.” Berliner is a recipient of Rockefeller, Guggenheim, and Jerome Foundation Fellowships and multiple grants from the NEA, NYSCA, and NYFA. He’s won three Emmy Awards and received seven Emmy nominations. Alan Berliner spends every day alone in a room with his stuff, trying to tell stories. Copyright © 2019 VCFA MFA Program in Film and the respective contributors.